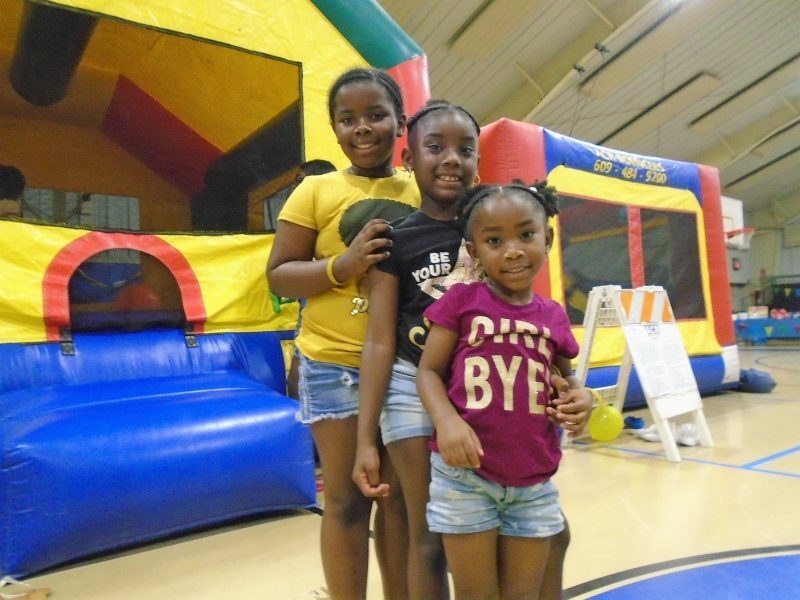 Sisters Ailalee Legette, 9, of Somers Point and Ah'Lanah , 4, and Ah'layah Kelly, 8, of Ocean City enjoy Saturday's Juneteenth celebration at the Sports & Civic Center in Ocean City. 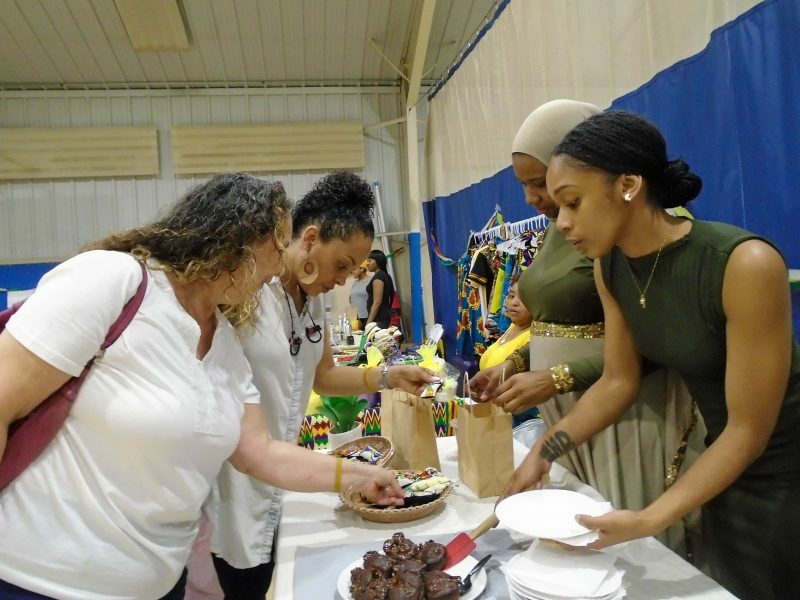 Jayda Graves went to the library and took out a book to take to the “Second to Seventh Ocean City Family Reunion” cookout Saturday at the Ocean City Sports & Civic Center in honor of Juneteenth. But it wasn’t any book she wanted to read to other children at the event. This book had special significance for the event she and her family were going to attend. It was about the history of Juneteenth. On June 19, 1865 enslaved Africans in Texas learned of their freedom, more than 2 years after the Emancipation Proclamation. It is a day that has been celebrated since then, according to the Ocean City Juneteenth Organization website. 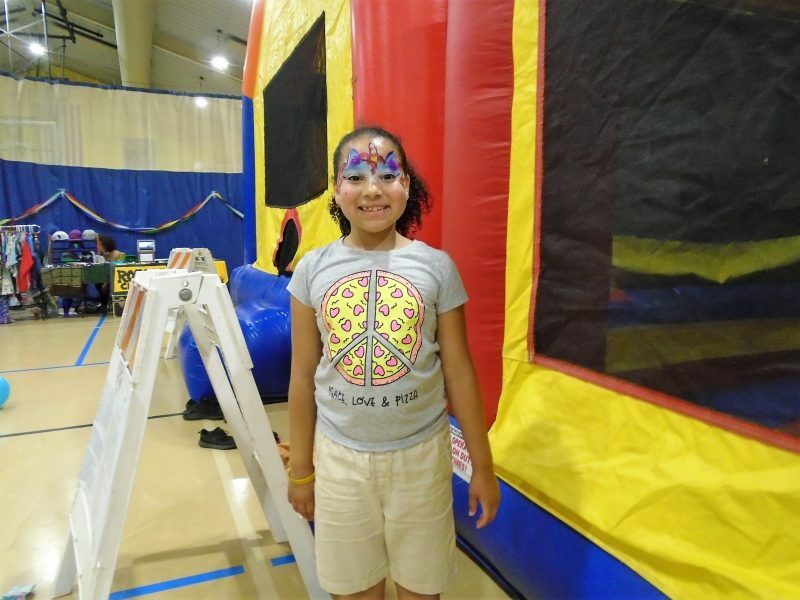 Jayda Graves, 8, has fun at the Juneteenth celebration. Jayda wanted to make sure her friends understood what it was all about. 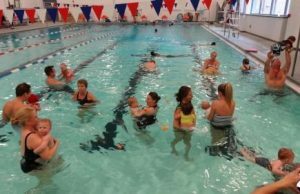 “I want to teach kids about it and I want to learn more about it as well,” Jayda, of Somers Point, said. She definitely has the right teachers when it comes to learning about Juneteenth and its importance to the black community. 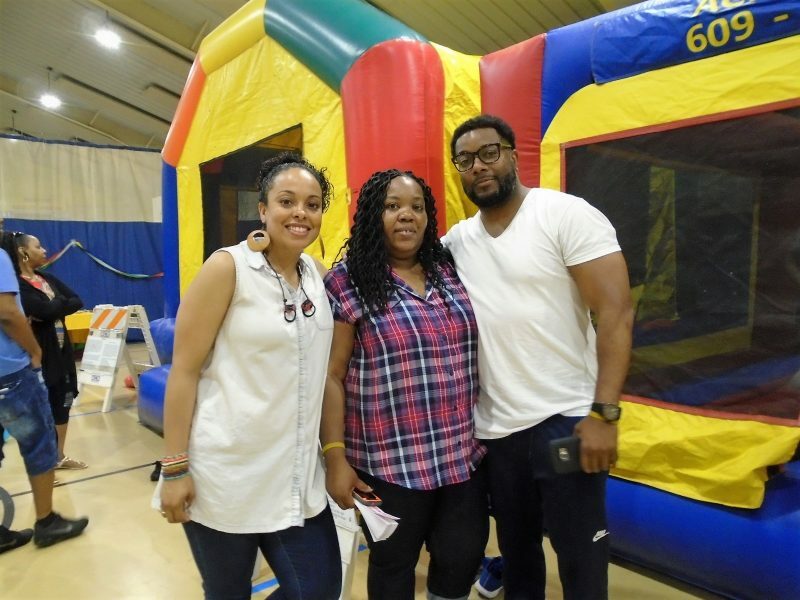 Her aunt is Brittany Battle, who along with Josh Baker and Takiya Wilson head Ocean City’s Juneteenth Organization. 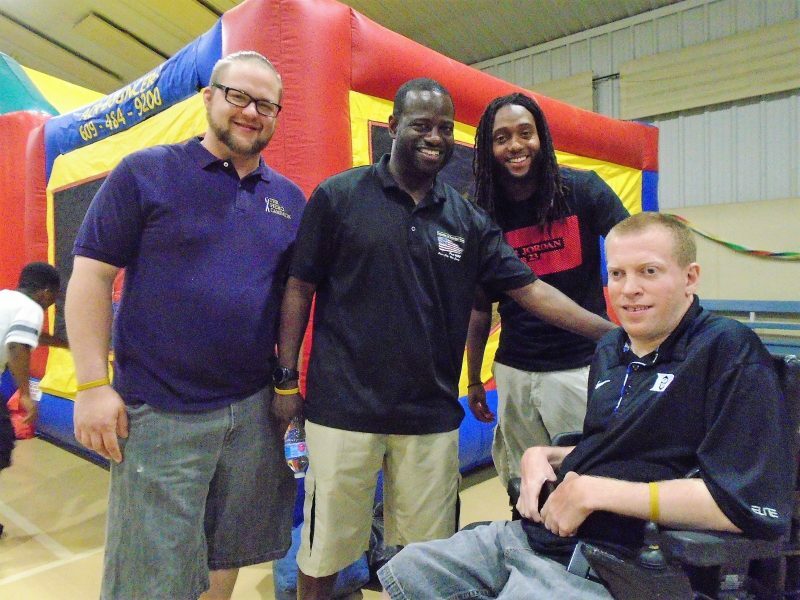 Josiah Baker has a fun time with dad, Josh Baker, one of the organizers of the event. While last year’s Ocean City Juneteenth event focused on the elders in the African American community, this year’s celebration was all about the kids and there was a lot of fun to be had. Kids played basketball, volleyball and other games, but the real hit was the bouncy house. There was also a DJ, treat machines, face painting, raffles, vendors, and informational booths at the center located at 840 E. 6th Street. 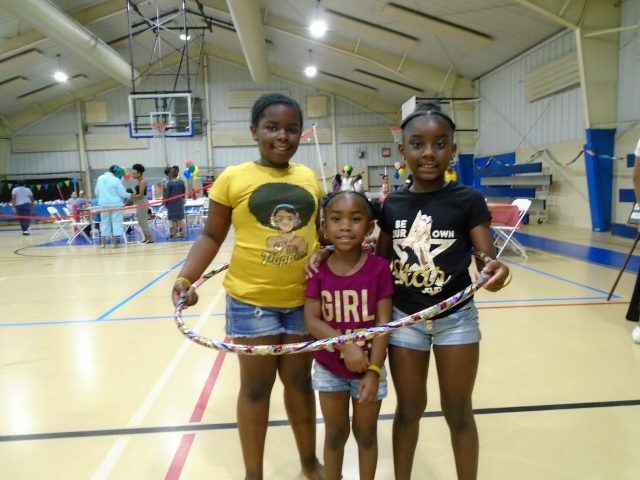 Ailalee Legette, 9, of Somers Point, and her sisters, Ah’Lanah Kelly, 4, Ah’layah Kelly, 8, enjoyed playing with the hula hoops. Then they ventured into the bouncy house. From left; Brittany Battle, Takiya Wilson, and Josh Baker make the Juneteenth celebration possible. They are the heads of the Ocean City Juneteeth Organization. 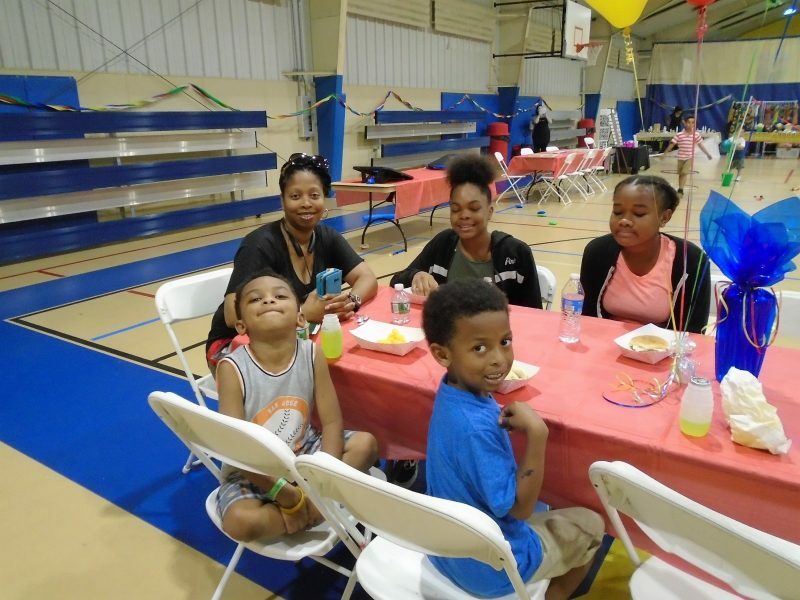 Families sat together and ate hotdogs and hamburgers, munched on popcorn, sipped cool drinks, listened to music and played games. 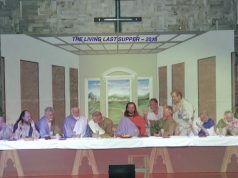 But the most important part of it all was that they did it together, organizers emphasized. The event began at noon and by 2 p.m., Battle looked around the room and noticed the venue had really filled up. 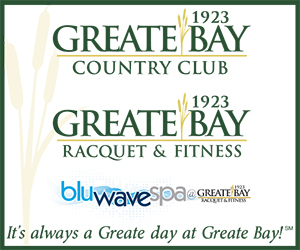 Battle noted that the city has been extremely supportive of the organization and the reunions. When the forecast forced a change of location for the reunion, originally to be held at Grimes Field, Battle said officials were so helpful and let them use the Sports & Civic Center. From left; Bryan Leatherwood, Ocean City Councilman Antwan McClellan, Lionel Johnson and Councilman Bob Barr speak of the significance of the event. 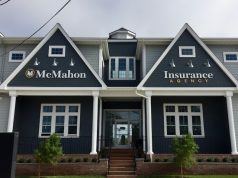 She also said that the local business community, along with nonprofit organizations, were generous in donations to help make the celebration a success. 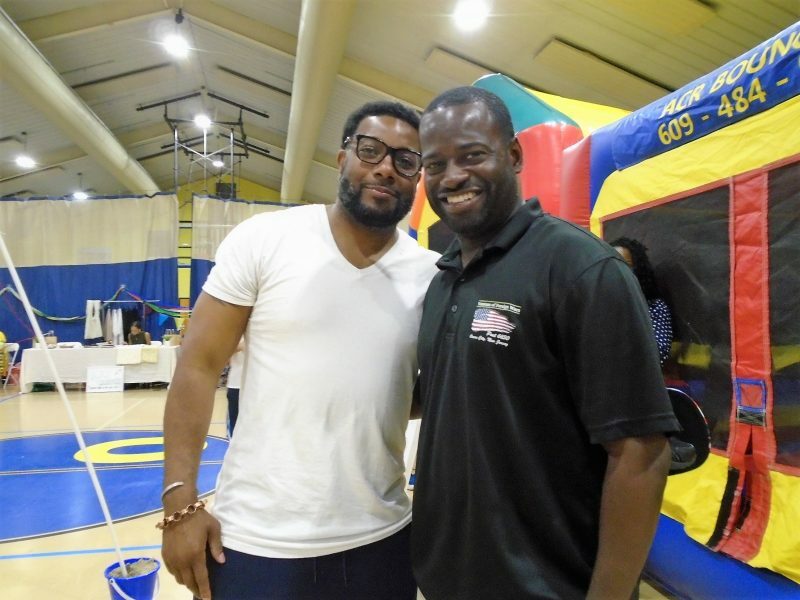 Ocean City Councilmen Antwan McClellan and Bob Barr attended the event. “The fact that Josh, Brittany and Takiya take time out of their busy schedules to do this to make sure we don’t forget the importance of what Juneteenth means in history, is fantastic,” McClellan said. Barr called the celebration fabulous. Michael Rowell, like many of the attendees, is a lifelong Ocean City resident. Michael Rowell (left) and Lionel Johnson say Ocean City is a family-oriented community. 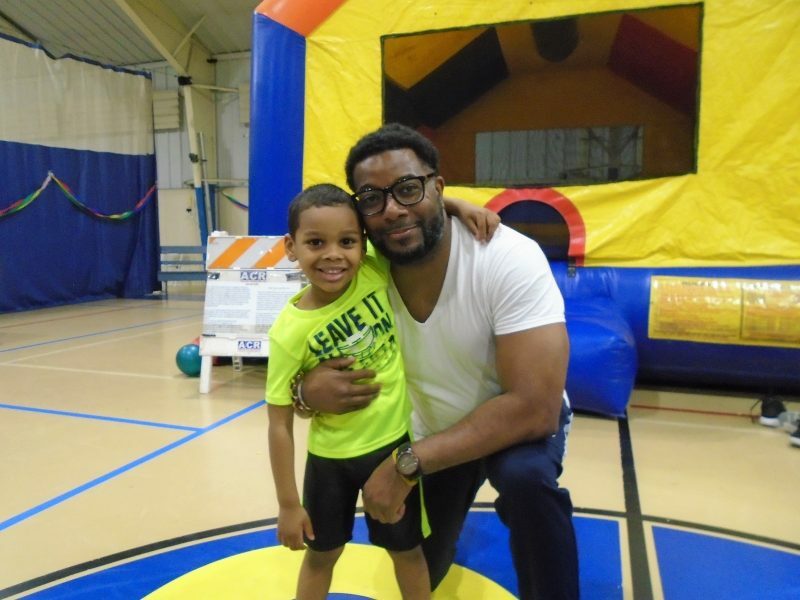 Josiah Baker, 4, of Ocean City, enjoyed the bounce house and then spent some quality time with his dad Josh Baker, who, like Battle and Wilson, has dedicated a lot of time to the Ocean City Juneteenth Organization. Vendors, longtime friends and Ocean City residents, Kendell Davis, 26, and Ebony Jones, 27, own Key Creations, a garment business. Saturday’s celebration really highlighted the strength of the community in Ocean City, they said. Even as the “Second to Seventh Ocean City Family Reunion,” was in full swing, Baker, Battle and Wilson, were already discussing plans for next year’s reunion. 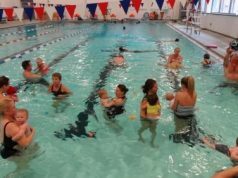 Families enjoy time together at the celebration. 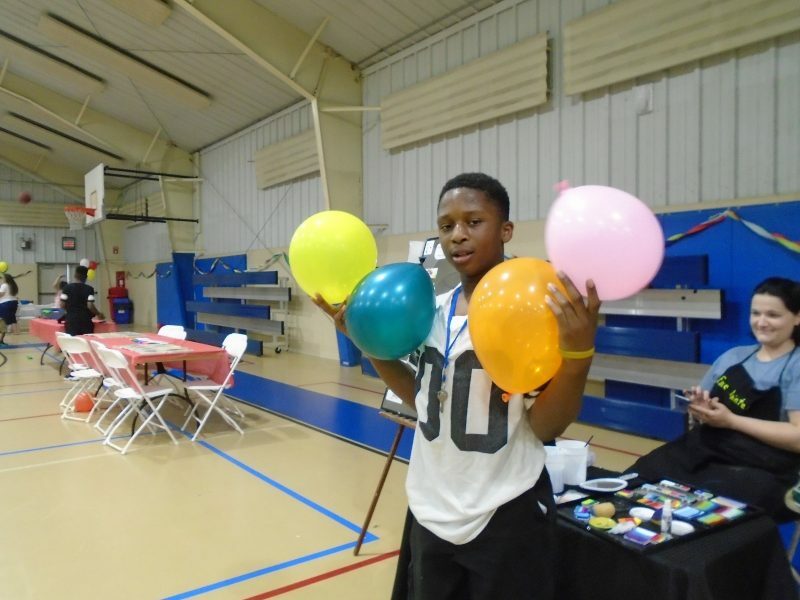 DeJhon Wilmore grabs some balloons for the festive event. Sisters Ailalee Legette, Ah’Lanah and Ah’layah Kelly, have a good time. 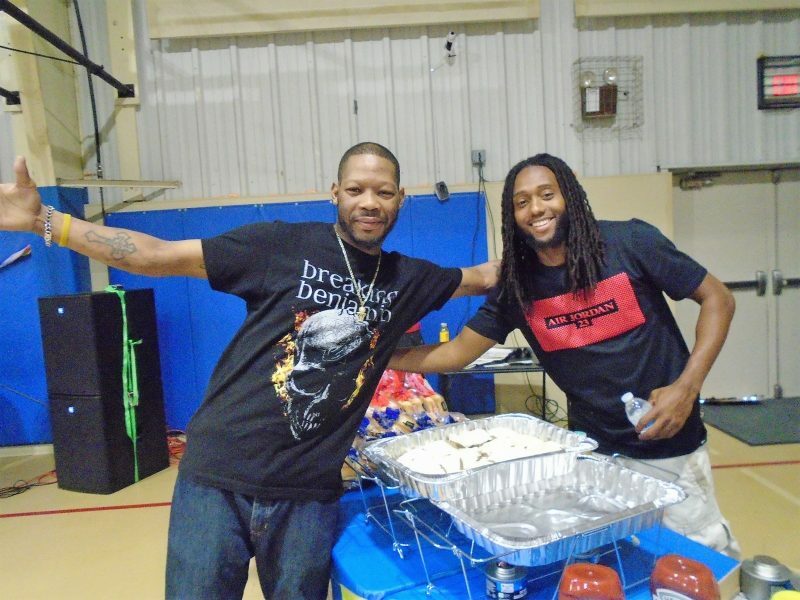 Josh Baker and Ocean City Councilman Antwan McClellan are longtime friends. 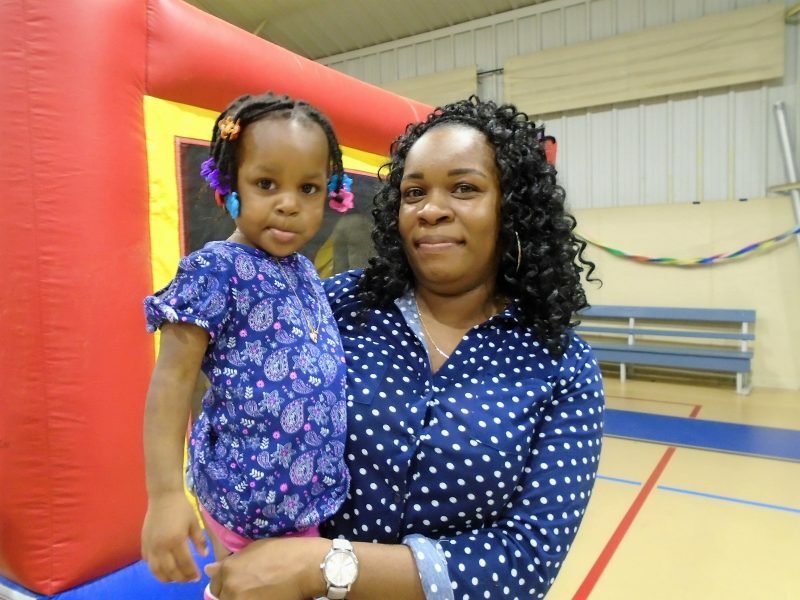 Latoya Wilson and her daughter Bella Bethea, 2, both of Absecon, share mom and daughter time.